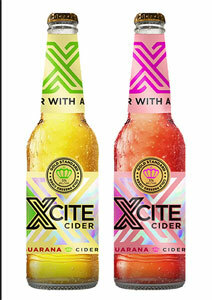 Xcite, a new guarana energy cider ‘with attitude’, has been launched by Chill Beverages International. 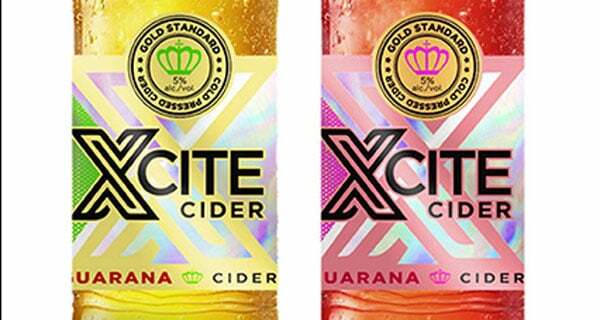 “The new gold standard for ciders, Xcite Energy Cider is made with 100% locally grown and pressed Golden Delicious apples and guarana fruit extract for a crisp, refreshing taste and a sassy burst of energy. “Strutting her stuff with two juicy flavours, Apple & Guarana and Berry & Guarana, new Xcite Energy Cider has that vivacious sparkle that stands out in a crowd. “As a passport to glamour, new Xcite is well balanced with an alcohol content of 5%. “It comes in stylish shimmering 275ml glass bottles and 440ml cans; and will take consumers to the next level with vibrant, uplifting energy.